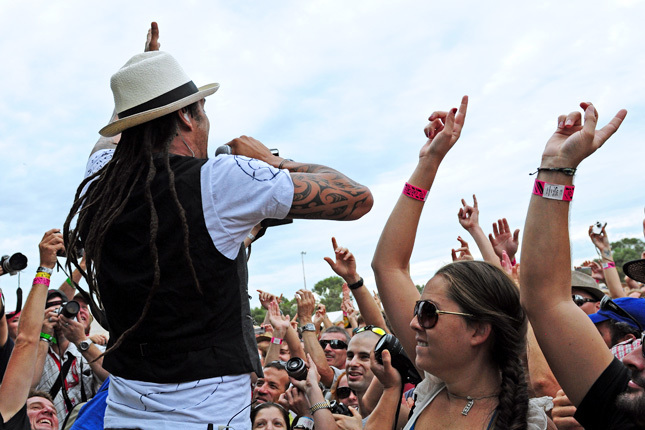 What can we say about Michael Franti & Spearhead? It is impossible to not have a smile stretched across your face when their music is playing. The positive energy emanating from Franti’s stage presence is absolutely contagious and everyone in the crowd will be overflowing with happiness. You can really feel the love at his shows. Their unique blend of R&B, hip hop, reggae, and poetry resonates deeply with the audience. Franti’s music exudes positivity and is drenched in rays of sunshine. Franti is an extremely charismatic performer, so rest assured you will not be bored at one of his shows- it’s a very interactive experience. He bounces around the stage with the endless energy of a toddler and continuously keeps the audience on their toes, getting them to yell and sing along at the top of their lungs. Franti makes you feel like a part of the show. Lukas Nelson is the son of country music legend, Willie Nelson. He had an upbringing that focused heavily on music; Lukas picked up the guitar at age 11 and never looked back. He used to play along to songs by Stevie Ray Vaughn and Jimi Hendrix. That underlying love for classic rock n roll shines through in his music. Lukas Nelson & Promise of the Real are an American rock group that combines gritty sounds of rock n roll, a little country twang, and a laid-back beach reggae vibe. Or in their own words, “Cowboy Hippie Surf Rock.” I’d say that pretty much sums it up. One thing is for sure; they can jam. All of these sounds combined together makes for an infectious set that is sure to win the crowd over. So get your boogie shoes on, and get ready to get down at Spring Fever this year. It’s going to be a party! Spring in Breckenridge is one of the best times to visit. There is plenty of snow, sunshine and of course the annual Spring Beer Festival! 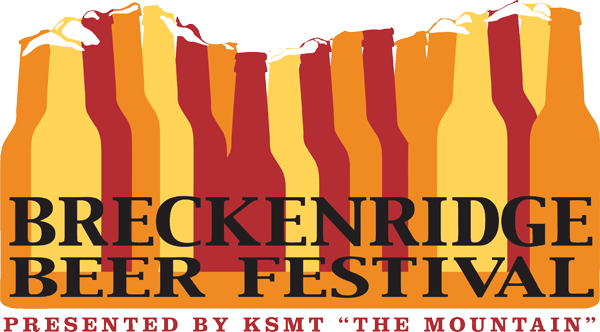 The Breckenridge Spring Beer Festival hits Breckenridge Saturday, April 9th. Here’s all you need to know for this event! The festival is held at 100 & 200 Blocks of Ridge Street in Breckenridge (right off of Main Street). The Doors open at 12pm. Make sure to buy your tickets online as the first hour of this event is only for pre – purchased tickets. You may buy your tickets at the festival starting at 1pm on the corner of Ridge and Lincoln Street. The event will end at 5pm. New this year, breweries will be bringing out special brews the first hour of this event for exclusive pre – purchased ticket holders. Get your tickets online, this event WILL sell out! Each ticket holder will also receive a collector’s cup which can be picked up at Alpine Sport Park Ave (435 Park Ave). You may also purchase day – of tickets there (if they are not sold out). *Please be aware there are no refunds. Click here to purchase today! For the 10th anniversary of the festival, they’re celebrating 80’s style. Make sure to wear your costumes and sign up for the costume contest for a chance to win some awesome prizes! Get your groove on and meet us on the dance floor! Going along with the theme, live 80’s music will also be incorporated! Still want to dance and drink after the event? There will be an official after party held at The Hungry Dog (505 S. Main Street) following immediately after the festival. Join the party for food and drink specials as well as BBQ and live music! April 23rd, 2016. Mark your calendars. As April approaches, another ski season is almost in the books. To some, that means preparing for a spring climb the trumps most others. We’re talking about the Imperial Challenge; a rite of spring if you will. This year, the Imperial Challenge is gaining a few new rules and bringing some more fun back to the competition. There will no longer be a short course offered in this challenge. Every competitor must “take the challenge” to reach to the of Peak 8. Stop us here. What IS the Imperial Challenge you ask? There are 3 sections to the challenge: Gear Drop-Off, The Ride/The Run and The Ascent and Descent. Essentially, there is 3523’ of climbing to get to the very top of Peak 8. This includes biking or running to the base of Peak 8 and then transitioning to your climbing gear. This year, you can register in the Retro Division where you will be running or biking with all of your gear with no drop off! (OG style!) The run/bike starts from the Breckenridge Recreation Center on Airport Road to the Breckenridge Ski Resort by County Road 3. It is 6.2 miles and mostly dirt road. The elevation gain for your first section totals 950’. More details and directions, including specific mapping is listed here. Next comes the uphill portion. Special note: there is a 12:30 p.m. cut off time at the T Bar. Whatever your choice of gear, you probably won’t be alone. You’ll see: ultralight skimo gear, tele mark gear, traditional AT gear, splits boards and snowshoes. As long as your uphill gear has metal edges for your descent, you’re good to go! (Running cleats, sleds, skate/classic nordic skis not allowed). No more Short Course option. Category for Heavy Metal/Rec Open for Men & Women. This is for those who don’t want to worry about making the cut-off time, have a super heavy setup or are just out there to have a good time! Retro Open Category. Doing it the old school way, you must carry all of your gear during the bike portion instead of dropping your gear off at the base of peak 8. You are NOT required to pedal in your ski boots. One of the main and most important aspects of this race is to make it a tough honest challenge with a low-key community vibe. This year welcomes the Imperial Challenge’s 25th year, so you can see that this has been a race within our community for quite some time. So, are you looking to challenge yourself? Looking to have some fun with friends? Whatever your motive, you are welcome to participate in the Imperial Challenge and do what works for you! Thank you to Maverick Sports for providing information on this race. Check out photos from past races on Climbbetty! Three storms in three weeks! Spring skiing in Breckenridge has been great this year. If you need a day of the hill, check out these activities going on in town! Easter Weekend marks the onset of spring, which might make you think that ski season’s end is near. But, as we type this, one of the biggest blizzards of the season is thumping down on the Town of Breck, and we can’t wait to hop around in some POW. Celebrating Easter in Breckenridge might just be the most egg-cellent decision you make this year. The family can still enjoy traditions such as decorating eggs, eating delicious candy and filling bouquets with lilies while forming new customs like skiing under blue bird skies, slopeside egg hunting and joining in Breck’s Spring Fever festival. Ski with a Ranger at Breckenridge: Treat yourself and/or your family to an hour long lesson from a Volunteer Ranger on Peak 7 at the top of the Independence SuperChair at 11am. All you need is your lift ticket and intermediate skiing abilities. 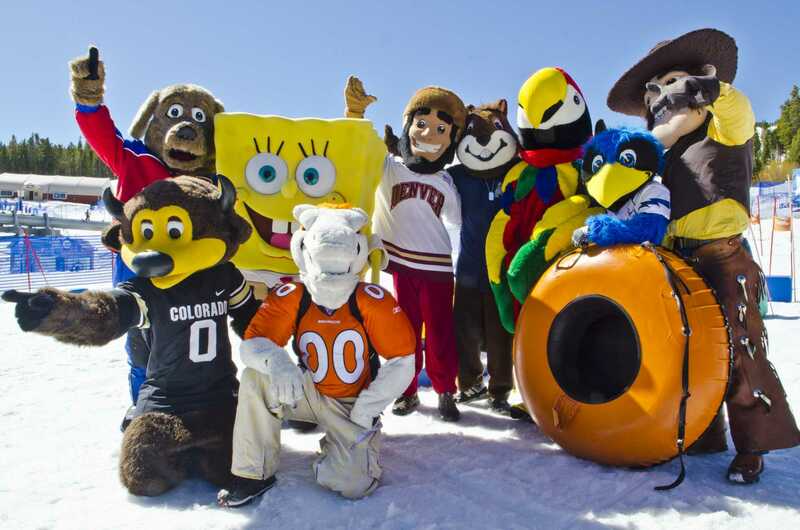 The US Forest Service, Friends of Dillon Ranger District and Breckenridge Ski Resort put this on free of charge! Cupcakes & Canvases: At the River Run Village in Keystone, an après party featuring an hour of cupcakes, canvases, art supplies and creative coaching will result in a happy family from 5pm to 6pm. Live Music at The Motherloaded Tavern: Thump your foot to the hippity hoppity beats of John Woodall and the Hollywood Farmers at MLT in Breckenridge. The festivities start at 5pm and run until 8pm. We recommend ordering some magic bacon and tots while you jam. Free Watercolor Fiesta: Local artists are offering free workshops in the Breckenridge Arts District from 4pm – 7pm, featuring tutorials on creating mini-watercolor paintings. For more details on this cultural workshop that is fun for the whole family, email Mauricio. The Jerseys Sing the Four Seasons and more: From 7pm to 9pm at the Riverwalk Center in Breck, The Jerseys will be serenading spectators with familiar tunes that’ll have the whole family dancing. Sunrise On-Mountain Easter Service: Hop on over to the Quicksilver SuperChair at the base of Peak 9 for a free ride up the mountain to rejoice in a breathtaking sunrise service like you’ve never experienced before. The lift loads at 6am and service runs at Ten Mile Station from 6:30am to 7:15am. On Mountain Kids’ Easter Egg Hunt: Taking place on both Peak 8 and Peak 9 at 9:30am, children ages 10 and younger get their shot at finding as many hidden eggs as they can. For the even littler ones, at 10am kiddos ages 3 and under can also hunt for the Easter Bunny’s hidden eggs in a fenced in area near Chair 5. Don’t forget to find the Easter Bunny and take pictures with him! Feeling egg-cited? You should be! Duck out of your usual Easter routine; hunt down your peeps, find some pastel baskets and come find your sweet spot in Breck. The best lodging deals in town can be found at Breckenridge Discount Lodging. We’re looking forward to seeing you in Breckenridge for a hoppy Easter holiday!